US flag: Wood split in half longways to make smaller pieces. 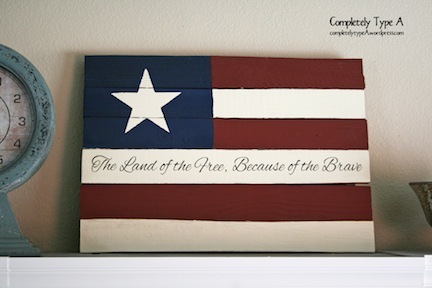 I used barn red, navy, and off-white paint and made the vinyl wording and star stencil with my Silhouette. 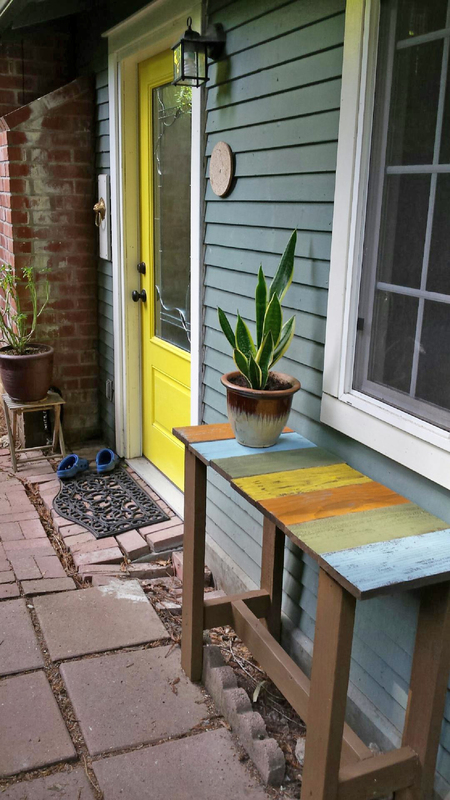 Garden Table: I made this garden table as a gift for my cousin. I love how it matches her door! I did have to get some 2x4s for the base, only the top is wood from my fence. 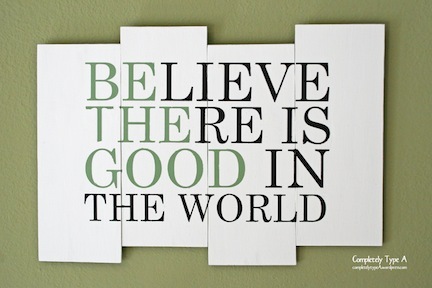 “Be the Good”: This sign hangs in my kitchen. I love the message! Again, I made a stencil with vinyl, then painted it colors to match my decor. 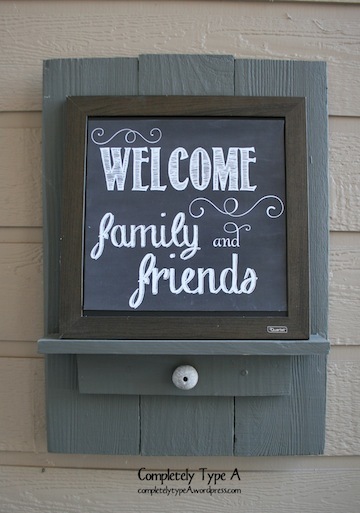 Front Entry Sign: This hangs on my front porch. I love how it compliments the color of my house. I use the little knob to hang seasonal signs. Frame: I tried something new with this, still deciding if I like it. 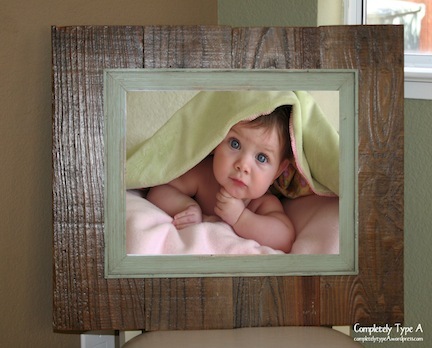 I had a green distressed frame, so I made a pallet background for it to help it to stand out and make it look bigger. I covered it in Mod Podge (after washing with water) to give it a shiny look. I like how all the grain shows through, but not sure if I like the overall look. This is just a stock photo added in.